Creating a retreat with a wall mural! 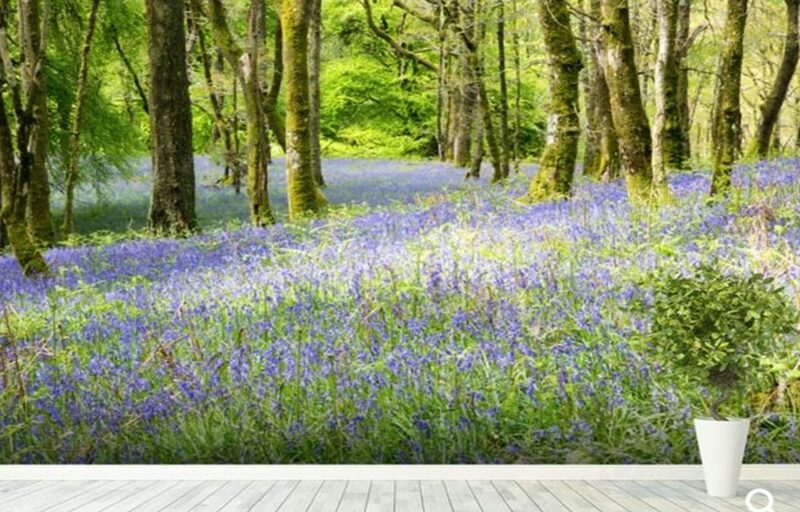 My mum has always worked for the health service and helping people is part of who she is so it was no surprise to me when, over 15 years ago, she decided to take a look at training in complementary therapies alongside her job. 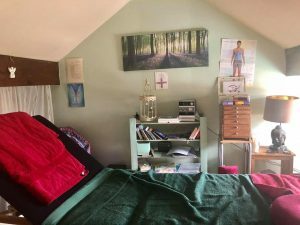 At first she studied in and qualified as a reflexologist (my favourite of her therapies) but this soon lead to other courses and now she practices a wide range of therapies including reiki and Indian head massage. She held the therapy sessions at a clinic for years but recently, the funding was withdrawn and so she has had to set up a base at home. In supporting her to advertise beyond word of mouth, I have helped her to create a logo, literature and training manuals so that she can now teach others to complete their reiki levels. The next project is to convert the space she works in which is the attic space at her house. In doing this we thought about the colours that she had chosen for her logo so that there was consistency with her ‘brand’ and the best colours to create the sort of relaxing atmosphere that she wanted her clients to experience. Mum chose a pale green. A lot of this can be achieved through soft furnishings, lighting and aromatherapy oils but something else that I have come across recently really caught my eye. 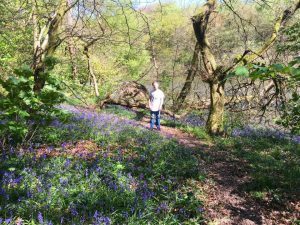 We are very fortunate to live on the doorstep of a beautiful reservoir and my mum loves walking around it particularly in the spring when the bluebells are out. 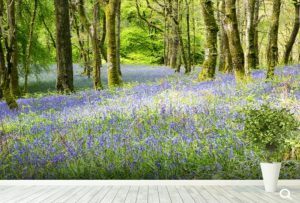 Its such a beautiful and peaceful place and when I saw a carpet of blue bells in a wooded area similar to the reservoir as a wall mural from wallsauce.com I absolutely loved it and immediately thought of it in Mum’s therapy room. What a brilliant idea to be able to bring some of the outside beauty into a room where relaxation is paramount! I showed her and she was as excited as me to think that she could really open up the space with some strategic furniture placement and this wall mural to create the haven of tranquility that she finds on her walks. Self employment can be perilous at the best of times but in today’s financial climate i think its important that the services you offer are as holistically rewarding as the therapy themselves. Mum is really well priced in the market place, fantastic at what she does and hopefully, the extra touch of bringing nature to the client will help to set her apart from the others so that she can continue to do what she loves and help the people who have come to love and rely on her. 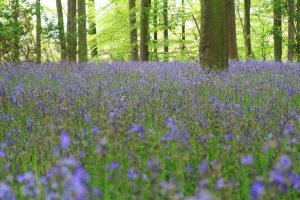 And if nothing else, she has her blue bells all year long. This post was written in collaboration with wallsauce.com. All views are my own.